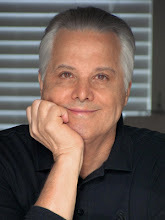 On Sunday 2 December, I will be commemorating my husband David with a gathering at my home, so this week in place of something new for my Monday blog, I am reposting one that has as its theme an important lesson--one I learned early and that made my and David's life together quite wonderful. David was a workaholic. He objected to putting a priority on travel. Until I said to him: "Nobody on his deathbed ever said, 'I wish I had spent more time in the office." Procrastinators of pleasure: LISTEN UP! 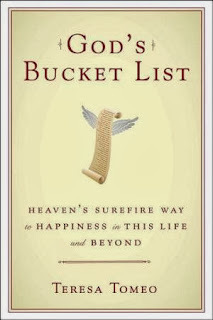 By inventing the phrase "The Fucket List," I am hoping to counteract a parallel trend—The Bucket List. It started in 2007 with a movie of that name. Directed by Rob Reiner, it stars Jack Nicholson and Morgan Freeman as a pair of terminally ill patients, who decide to ditch the doctors and go off on a world-wide odyssey in pursuit of all the things they want to do before kicking the bucket. The film was predictable, but amusing thanks to the irresistible charm of its costars. 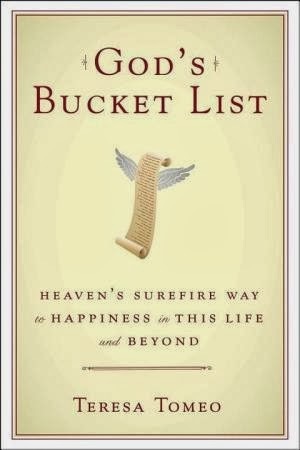 The notion that one should make and keep a bucket list struck a nerve with the larger public and gave rise to a plethora of bucket-list-specific stationery items and advice books. Ordinary people started talking bucket lists around the dinner table. Most of the books seem designed to make the reader feel inadequate. For instance, I have visited thirty-seven countries and pretty much all the places I most wanted to see. But then, in an aisle of the Strand Bookstore, I opened that list of 1000 places I am supposed to see before I die. What a piker I am! How could I have gotten this old and not seen the Taj Mahal, Anarctica, the Hermitage, Sydney, or sailed through the Straits of Gibraltar? What’s wrong with me? “No,” I said, already a bit sick of the whole concept. What about them? Actually, we did our list as we went along. You see, I had learned young not to put off my life satisfactions. When I was barely out of college, I went to work in the HR Department of a Wall Street bank. On my first day on the job, in the elevator I met a man named Earl. When he got on the car, I was already there and had pressed five. “You are going to my floor,” he said. “No,” I replied. “You are going to mine.” Cheeky then. Cheeky now. Earl liked plucky women. We struck up a friendship. He was at the other career end from me. At Friday lunches in the bank cafeteria, he would count down for me how many days to his retirement. 178…94…59….31…..10. All the while regaling me with his plans for how he and his wife were going off to see the world. His retirement lunch was planned for the following Thursday. But he died that Sunday. I promised myself then, that I would not put off anything I really wanted to do. So when David took sick with his dreadful disease at only 67, I was able to console myself that we had walked all over this globe together. No regrets about that. The memories are splendid. You should, you know. You never know what is coming. DO IT NOW. 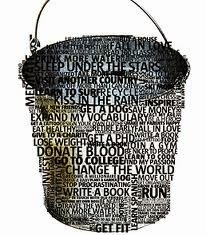 The very concept of a bucket list annoys me. 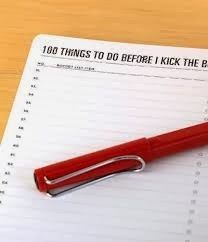 I say what we all need is Fucket List: a list of the things we will not do. Mine consists largely of things that I used to do that I am giving up. Fret over whether other people might disapprove of my life decisions. Be polite to people who are being rude to me. Worry that I look fat. Keep reading books that bore me. Eat at bad restaurants because other people like them. Apologize for having a messy desk or a dirty car. Feel stupid because I am afraid to drive over the George Washington Bridge. Wait more than a half-hour for my doctor’s appointment, unless my life is on the line. Pass up an opportunity to eat good chocolate. Concentrate only on what I should do, and not on what I want to do. Accept gloom when joy is readily available. Okay, mystery writers and fans. What about you? Will you join me and make your Fucket list? Here is a motto for us to write at the top of our Fucket lists. 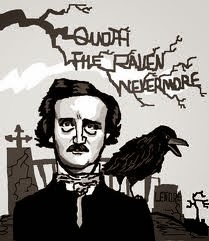 Straight from the grandfather of crime fiction—Edgar Allan Poe: NEVERMORE! Well,where to start. Just happy I didn't make your list, Annamaria :). 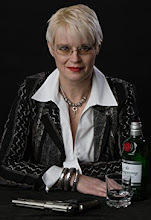 From a writer's perspective I have a funny story about the whole subject. Well, funny to me at least. The young stepson of a law partner of mine, went to Hollywood to make his fortune as a screenwriter. I knowingly nodded "good luck" at the thought. A year or so later I was having dinner with my partner and his wife when they remarked that, "Justin just sold his screenplay." 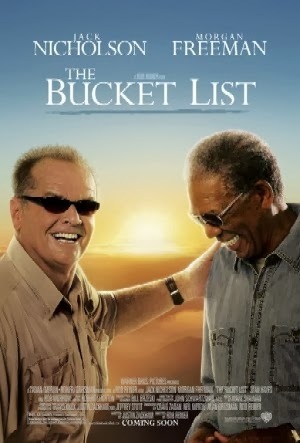 Yep, you got it, the son's first shot out of the box was "The Bucket List." Good for Justin. He had his finger on the pulse of the polity. Too bad he didn't trademark the phrase. He would own an island in Fiji by now. Or maybe he does. He did get Nicholson to make his first movie. Jeffrey-It is a small world. The first girl I ever kissed was Justin's aunt. She and her sister were quite lovely, out of my class. I am sure they would not remember me because it was 55 years ago, but as Justin uses his mother's name I realised I had known her as a teenager. Wow, Norman, this world just keeps getting smaller and smaller. That must have been quite a kiss for you to remember it 55 years later! Shall I pass on your regards via the sister the next time I see her? Jeffrey- Thanks do pass on my regards, although working out how long ago it was has made me feel rather ancient. My granddaughter is 16, older than when I knew Justin's mother and aunt. There's been a lot of water under the bridge since those days. Jeff: hilarious. 'Tis a small, small world after all. Thank you Everett. I once invited s small circle of friends to call ourselves The Wrong Thing Society. Our membership cards were hand printed on the back of those tags from mattresses that say, "Do Not Remove Under Penalty of Law." To join you had to present one that you had ripped off your bedding yourself. And promise to the the wrong thing by not always doing the right thing. The meetings involved lots of great food and wine! Please don't tell me that, being members of The Wrong Thing Society, you then had to do the wrong thing and disband such a wonderful society! That is a spectacularly great idea for a society. E, four of the five of us are still living on this plane, though one is quite gaga. The quick, as it were, are still eating and drinking together but we no longer have AA style confessions of having gone to too great lengths to do the right thing. Thelma, I have benign positional vertigo but it never stopped me from driving over bridges. Then, shortly after 9/11, I was driving my son-in-law's van over the GWB late at night. The traffic stopped when I was in mid-bridge. The trucks rumbling in the other direction, toward New Jersey, made the bridge sway. I had my first ever panic attack. I can bear it if someone else is driving, but I can't bear the idea of doing it if I am behind the wheel. Wow! What a fantastic philosophy of how to live one's life every day. Would that more people followed this way of living so many more would be happy and fulfilled. Now, I agree with many points on your life of "Don't." I'm going to print it out. I particularly zoom in on the eating of the sacred food: chocolate. It can be eaten anytime, anyplace, on every occasion. If it makes us happier people, why not? Why not indeed, Kathy. To paraphrase a line much quoted this week: ask not what life should being giving you. Ask what you want to give to your life. Grazie tanto, caro amico mio. What a great piece, Annamaria! My personal motto: "Life's too short to drink bad beer." Too right, Lisa. And to do a bunch of other unpleasant and unrewarding stuff. Good beer. Good chocolate. Why not? And more and more I agree with not reading boring books, not waiting long for medical/dental appointments and not being nice to rude people. However, the poor guy at a bank who began a conversation by calling me by my legal first name, without asking permission. Using that name only happens at doctors' offices and the high school principal. Kathy, for me it's a life lesson that requires periodic revisiting. My latest addition: I will not be shy about asking for help when I really need it. I love this post. You could run it every year at Bouchercon and I'd love it every year. It's a great reminder on so many levels. I'm going to make a much bigger effort to stop putting off the things I love in favor of the obligations I don't. Thank you for being such a lovely friend and an inspiration. I adored spending time with you at Bouchercon and I'm thrilled that I'll see you again in Phoenix! S, I loved being with you. I am glad you are working on being as nice to yourself as you are to everyone else. KEEP IT UP!! Our joint fun will rise again in Phoenix. Huzzah! Great post Annamaria. I agree with you on that last point you made: not being shy about asking for help when you need it. Having tried (only partially successfully) to nurse my back all weekend, I finally gave in and asked for assistance at the airport. Yup, they wheeled me to the gate in a chair. My back is grateful to my pride for giving way. Z, I am so sorry for the pain you had to bear, but grateful that you took care of yourself. The more care you take of yourself, the faster you will get past this misery. I hope it's SOON. Oh, gosh, back pain. The older we get, the more aches and pains develop. And woe be unto anyone who bends down the wrong way -- it could mean three days laid up to recover. I agree about looking for help when needed. Kathy, You are so right! I once needed to go to the acupuncturist for treatment, when I took a t-shirt off a shelf at eye level and by so doing, threw our my back! Time becomes the great commodity after a certain age. There are thousands of places and things to experience, but very few will come to fruition. Had I been born rich instead of smart and good looking this wouldn't have been a problem. Jono, Smart and good looking means you can have a good time staying near home, I imagine. Great experiences are avaiable almost everywhere for people who are willing go out and get them. Go for it, is all I'm saying. Such wise words, Annamaria and wise lessons learned in somewhat similar ways. A man Ik new well (relative of a relative) put off retiring for years, to his wife's great frustration. Really. After he finally sold his all-consuming retail business, he went and got another job! They finally moved to the dream home in FL and got ready to live the dream life. And he was diagnosed with Parkinson's. So, yes. Do it now whenever you can. You're preaching to the choir, sis. It's why I do what I do. As an aside we writers can relate to over how it takes years of persevering hard work to achieve success, permit me to offer this bit of background on the film inspiring your post. The stepson of one of my law partners decided one day to simply pack up and head west to LA and be a writer. Yes, he had a college degree. So, he showed up in tinsel town with a script, showed it to a couple of people and voila his "Bucket List" was made into a film. A piece of advice: Do not bend over to take vegetables out of the refrigerator's vegetable bin. That act can come back and literally bite you in the back -- or days lying on it. Hi Annamaria. A wonderful blog no matter when it was first posted or last read. It should be reread often as a salutory reminder that life is short and we should always seize the day. I was badly trolled on social media at the beginning of last month, and I've been putting off going through it to block and delete all my trollees. I stopped reading them very early in the episode, but apparently they left no stone of my character, appearance or sexual preferences unturned. I have now decided to ask someone else to do this task for me. I know I should 'woman up' and do it myself, but life is too short to expose yourself to more crap than you have to. Oh, Zoe, how dreadful. I am glad you have decided to get someones else to shield you from all that hostility. 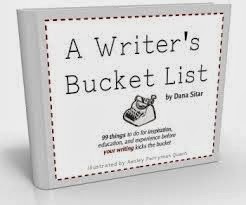 It's one of my latest, very important additions to my Fucket list: Never stand still for hostility. I have had some directed at me of late, too. OUCH! I love your Fucket List idea - AND your Fucket List. In fact, I'm adopting all of your items and adding to it as I go! - I will never again tell myself "I'll do that when I retire/get older/have the time." From now on, I will make the plans to do it as soon as humanly possible. You are my heroine of the Do it and do it NOW! Movement!!! You really are afraid to drive over the George Washington Bridge? I guess that in literary keeping with, "You can't go home again." Great list and glad to see it once again. I'm convinced eating chocolate is the panacea to a lot of problems. And so much more. And one more thing: Do not let banks or credit card companies get away with overcharging you fees or interest. Keep arguing until you wear them down. Then eat chocolate. Hope you will enjoy your holidays. I wish the same to you, Kathy. With lots a chocolate. We agree wholeheartedly also about cc fees. I avoid them any way I can. I turn from Dr.Jackle into Ms. Hyde when dealing with overcharing banks on credit card fees unfairly charged. They have billions. I have zilch. And more power to you Annamaria. I suffered a very mild cardiac incident last week, it does make you re-evaluate it all. Yikes, Caro! I hope all is well with young. periodic re-evaluation is good thing. The demands of life so often put us on automatic pilot. Active, mindful steering of ones life is sometimes a scary, but all-in-all a wondrous thing!